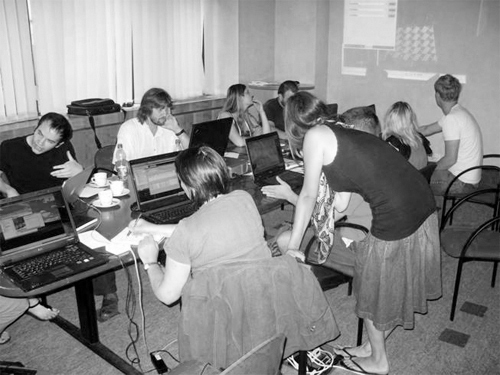 WF_092 was a workshop about parametric modeling and digital fabrication which took place from 17th till 21th of August 2009 in Warsaw. 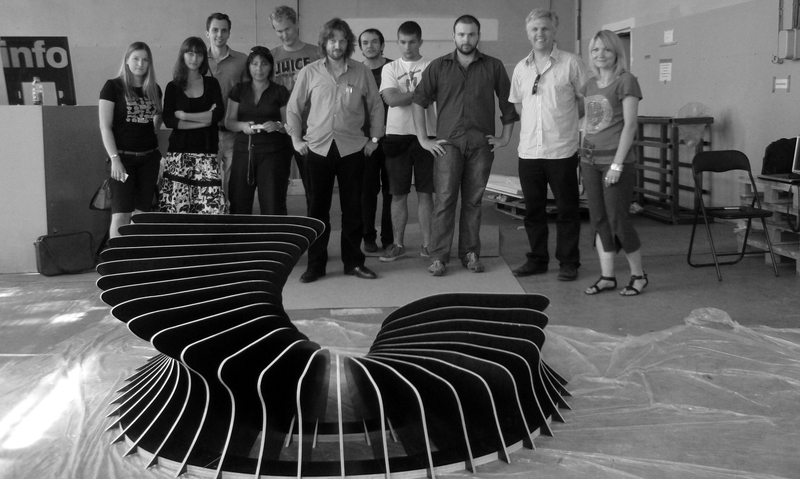 We would kindly like to thank Bentley Systems and sztuka-architektury.pl for their valuable help in organizing it. 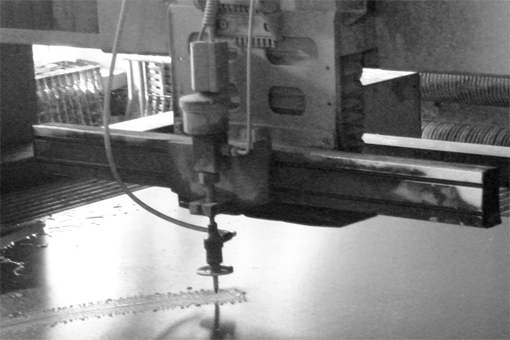 Our parametric tool was Generative Components and digital fabrication tool was a 2d water jet. 17th of August begun with a general introduction to computational design: from computational forms to the potential of artificial intelligence in design. An introduction to computational design tools such as parametric modeling, scripting and programming followed.We have spent the rest of the day on type-along GC tutorials. 18th of August begun with an introduction to computer aided manufacturing. 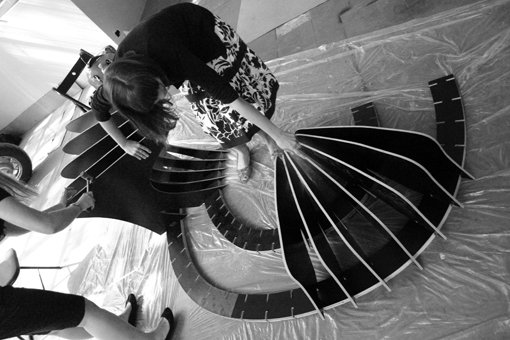 From then on workshop’s participants worked in teams on parametric designs of urban furniture. 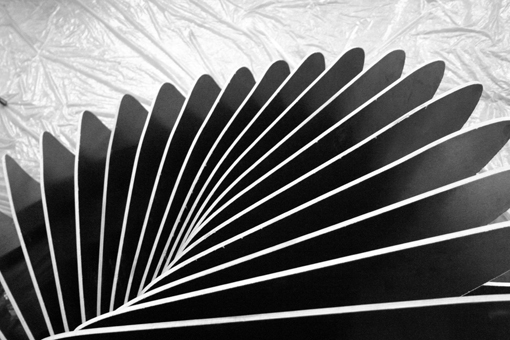 A mock-up of one of the designs was manufactured using water-jet and assembled on the 21st of August. We would like to thanks to all of the participants for their inspiring and hard work. 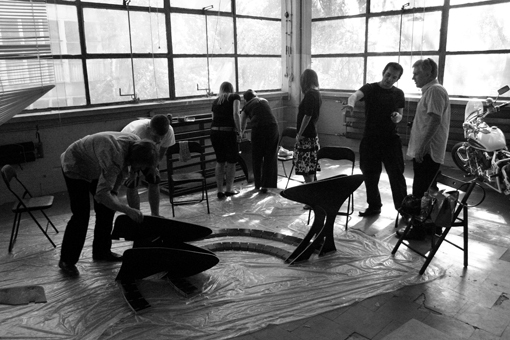 Sztuka-architektury.pl invited Workshops Factory to run a workshop at Iaac in Barcelona. 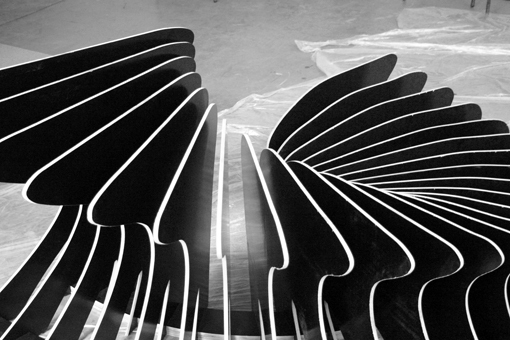 It will take place between 17th and 21st of August 2009.The workshops will be focused on bottom-up processes in architecture. The languege of the event is polish. In order to register send an email to Marta Atman. More information is available at sztuka-architektury.pl (info in polish only).